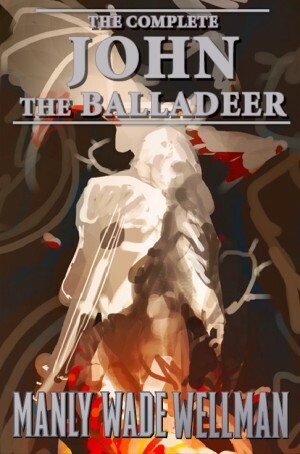 On Monday, November 21, Haffner Press announced the coming of The Complete John The Balladeer. Frontier Partisans has touched on John the Balladeer and his silver stringed guitar before. John is a Korean War veteran who roams the backcountry mountains of North Carolina facing down some creepy supernatural evils with his silver-strung guitar. A guy who dresses pretty much like Indiana Jones fighting hoodoos with folk songs? Yeah, I’m gonna like that. $90 for two volumes might be a high price tag for some, but Haffner Press publish for the collectible market. They take their time and produce extremely good quality hardcover books. The short stories have been collected a few times but the novels, most of which were written later in the early 1980s, are often hard to come by and priced high on the used market. (It is worth noting, this “complete” edition seems to be following official canon. In the Paizo Planet Stories edition of Who Fears The Devil?, two additional early stories were included —“Sin’s Doorway” and “Frogfather.” These tales feature a “Johnny” and a nameless protagonist. 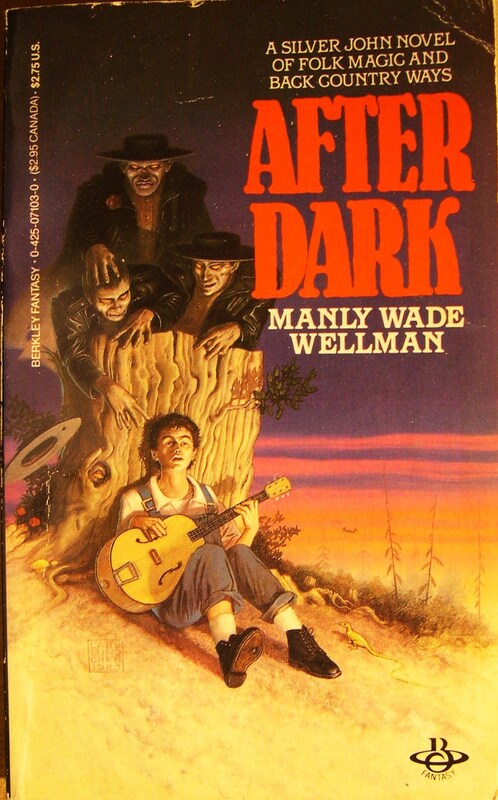 They were written before Many Wade Wellman had conceived his troubadour character. The stories could be about John the Balladeer — if you don’t look too close. They are not in this collection but it is not a detriment). I’ve been waiting for this announcement for a long time. David Drake had tipped me off that Haffner would be doing this. I have a backlog of preorders with Haffner. I hope they are able to catch up in 2019 and get to these sooner rather than later. Yeah, Stephen says most of the backlog will be published next year. I hope so, but I’m taking a wait and see attitude. Like you, I have lot of preorders with Haffner. This will be too pricey for me. 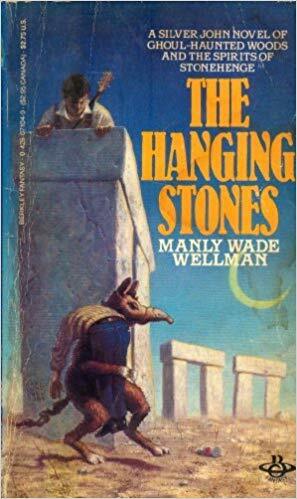 Particularly since I have the Night Shade volume of the short stories and an old copy of The Hanging Stones. That said I’m glad it is being released. I also happen to be reading The Beyonders by Wellman. It deals with an alien invasion in a small Appalachian town. 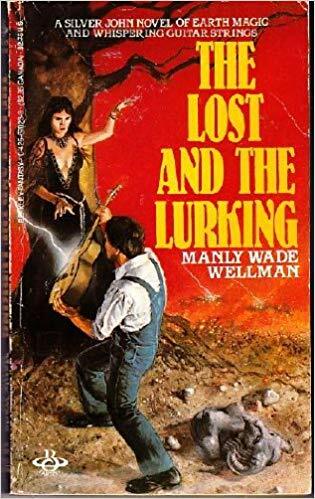 Wellman was a master of what I call Backwoods Horror. That’s a great name for it. I’m trying to think of other works of fiction that could be described as such. Of hand, I think Karl Edward Wagner’s “In the Pines” (which pretty much has to be inspired by Wellman since Wagner knew him) and “Sticks” comes to mind. Certain episodes of the X-files might count. REH’s “Pigeons From Hell” falls into this category. Yes! Just re-read that a couple of weeks ago. Also, revisiting the previous post on John, here’s your reminder, Jim, to read David Drake’s OLD NATHAN sometime. Every time I think I have something new to contribute I find out how wrong I am. I have most of these stories in old pb editions and love them. Were I still a single bookshop manager I would already have a copy on preorder; struggling family man doesn’t jibe so well with bibliophile. I was going to mention Old Nathan and Wagner but you all are way ahead of me, though I would add Wagner’s “.220 Swift” to the list. Was anyone else creeped out by the scene in “The Blair Witch Project” where they come into a clearing and there were hanging stick designs from all of the trees. That screamed Wagner to me. Apparently Wagner also influenced Season 1 of True Detective. I’m not familiar with .220 Swift, but I soon will remedy that. .220 Swift was a story in Wagner’s “In A Lonely Place” which includes “In the Pines” and “Sticks.” (And which can go for exorbitant prices online.) It is set in the back country and I can’t believe I forgot about it. It also mentions the Shonokins, inhuman bad guys who show up in the Silver John novel After Dark and in other works by Wellman. I rank “.220 Swift” below “Sticks” but it is still worth reading if you can find the collection for a good price. Addendum: Slightly off this particular genre but right in your wheelhouse: https://karavansara.live/2018/10/24/karavansara-free-library-el-borak/ Stories by Howard about a soldier of fortune in Middle and East Asia. Thanks to Davide Mana for a character I had never heard of. Yes, a hat-tip to Davide — our man on the Italian front. El Borak is a favorite. Have you seen Tim Bradstreet’s ills in the Del Rey edition of El Borak? Sweet stuff. It’s gonna be hard to beat the Hickman cover for the Baen edition. Okay, y’all just gotta stop! I had a collected works ebook of the John stories, but it’s vanished from amazon. Anyone know of a good check ebook collection? My friends aren’t going to spring for the hardback.